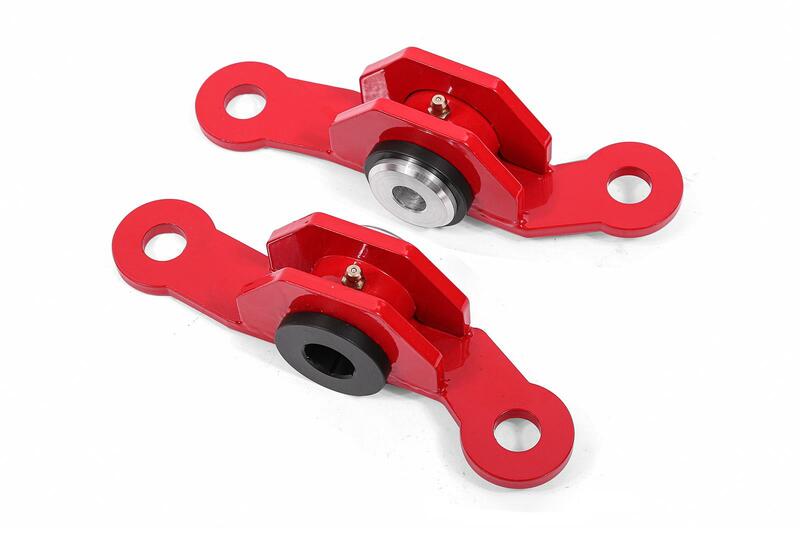 Decrease spindle rotation, improve power transfer, and reduce wheelhop with inner rear upper control arm bushings from BMR Suspension. Factory upper control arm bushings are very soft, allowing for excessive deflection under high load transfer situations. This causes excessing spindle rotation, which contributes to wheelhop and inconsistent traction. 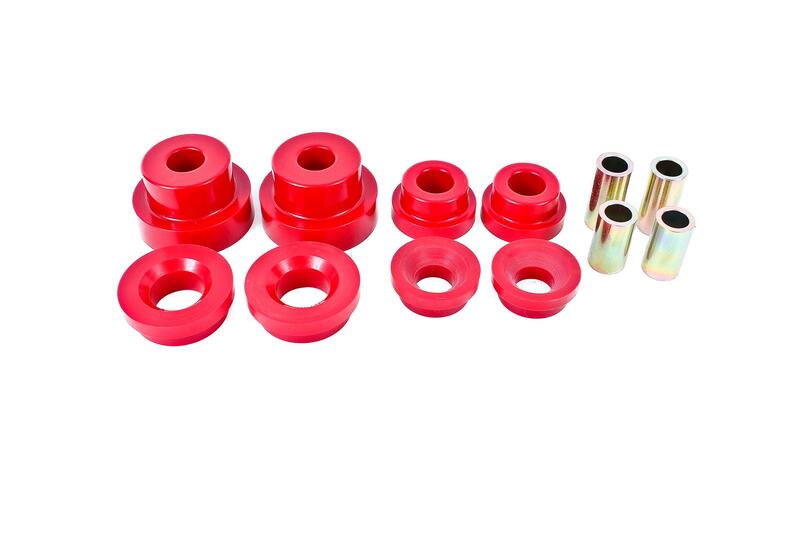 BMR’s polyurethane rear Lower Control Arm Bushing Kit (BK017) drastically increases stability over the factory rubber bushings, which do little for performance. 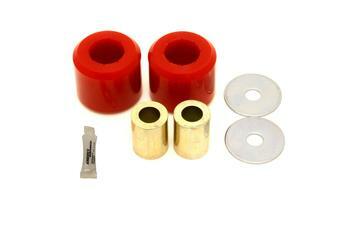 BMR designed its bushing kit from 70-durometer polyurethane. This material offers huge reductions in deflection without excessive increases in NVH. Each bushing is manufactured to strict tolerances, using exact molds, which are designed by BMR. This allows for a perfect fit and increased performance for any driving style. 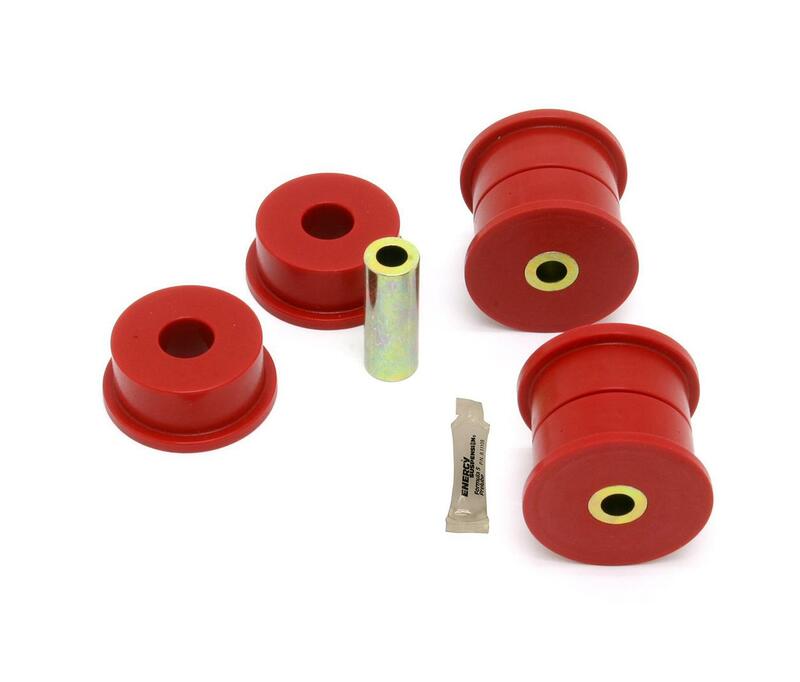 Designed for street performance, drag race, and handling applications, BMR Suspension BK017 Rear Lower Control Arm Bushing Kit is the perfect solution for any Camaro being used for performance driving. 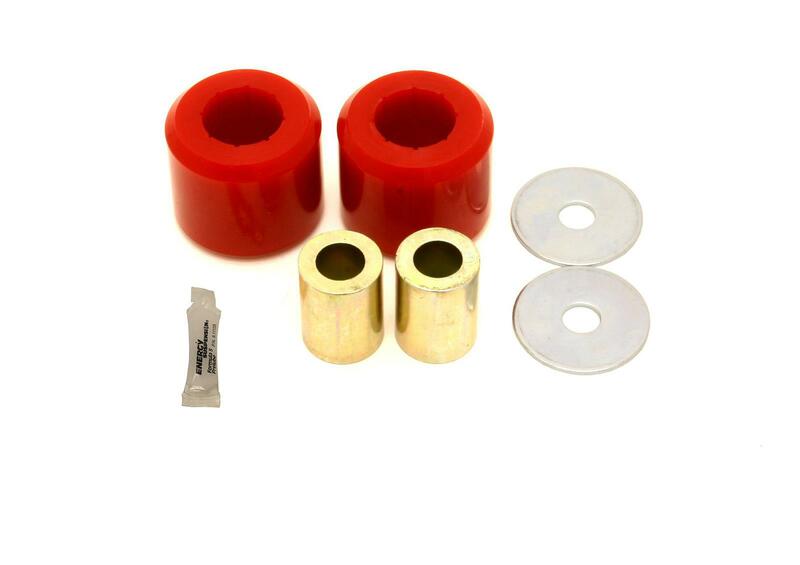 This kit offers huge increases in performance over the stock rubber bushings. 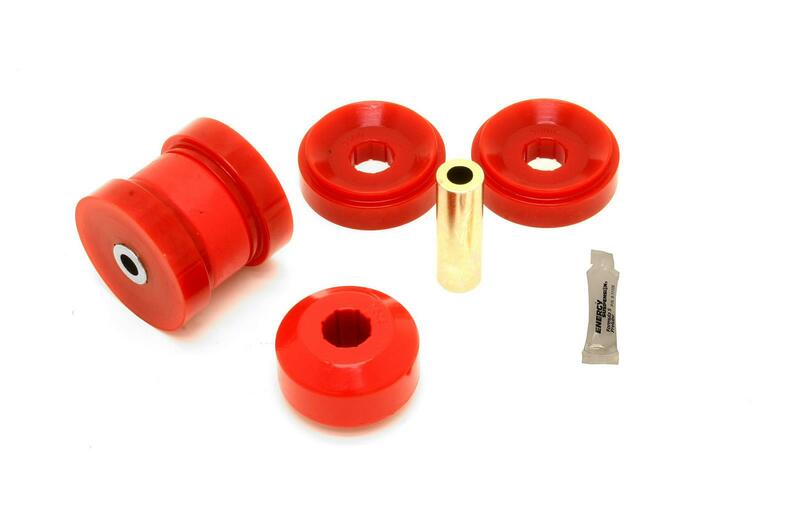 The OE bushings are made from soft rubber, producing excessive bushing deflection during aggressive maneuvering. BMR’s polyurethane bushings replace the OE rubber upper control arm inner bushings, drastically reducing bushing deflection. This increases handling stability, and cornering ability, while giving you a much-improved overall feel in any performance driving situation. The reduction in deflection also drastically reduces wheel hop, caused by excessive bushing deflection. 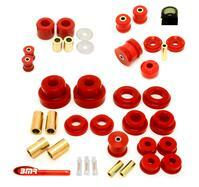 BMR Suspension’s BK017 Rear Upper Control Arm Bushing Kit is available in red with zinc-coated inner sleeves. 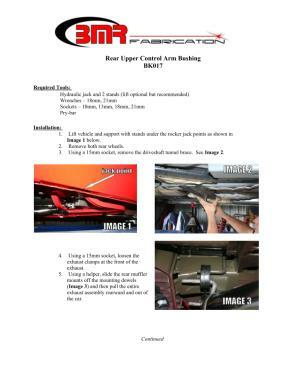 Installation time is about 3-4 hours and may vary depending on stock bushing removal technique. Proudly made in the U.S.A.!